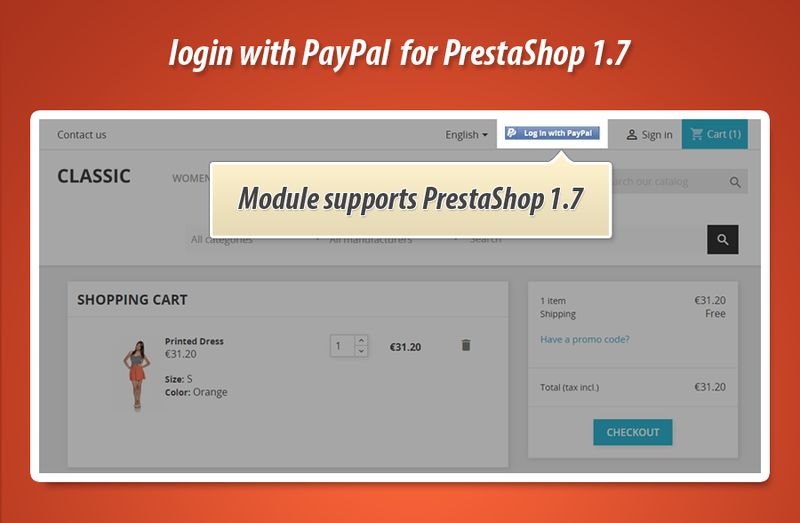 This is PrestaShop addon that creates feature to register and log in with PayPal account. 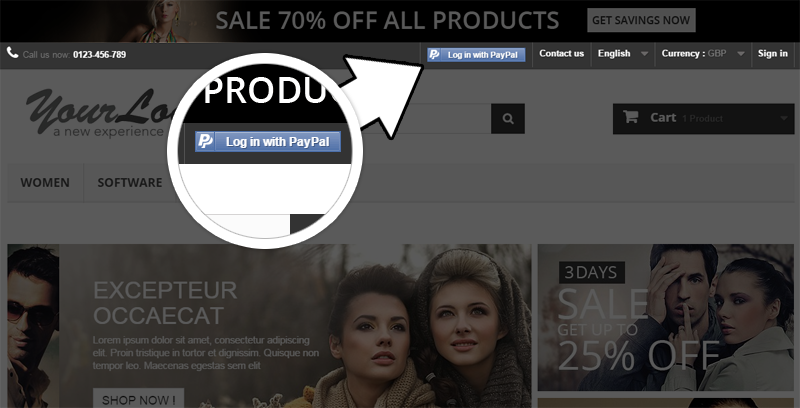 This is great feature especially if you supports PayPal payment. 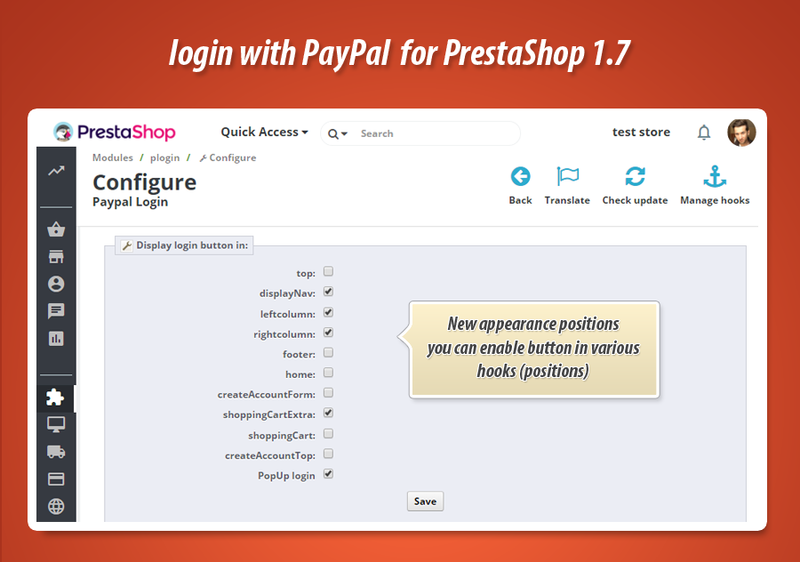 Your customers will be able to quickly create an account and log in to your shop with their PayPal accounts. 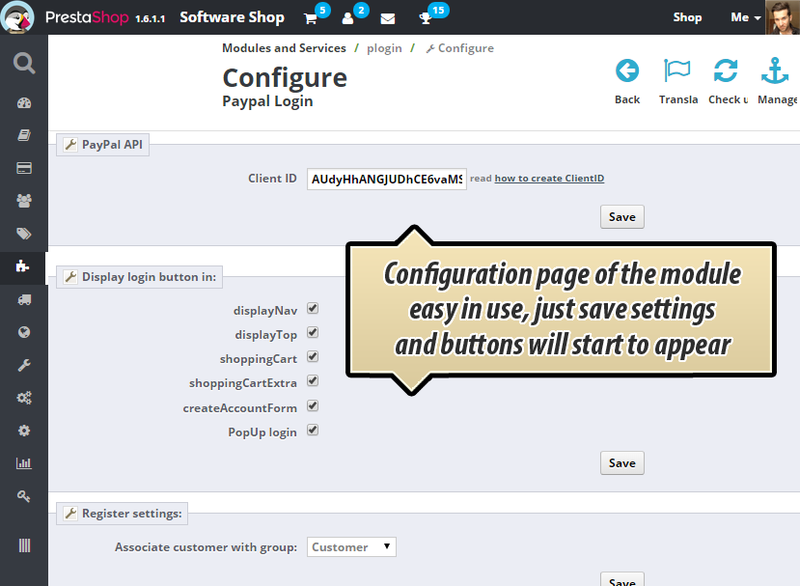 Module creates these buttons in most important places in your shop (from login / register process flow view) like displayNav, displayTop (top section of shop), on authentication page and during the order process. 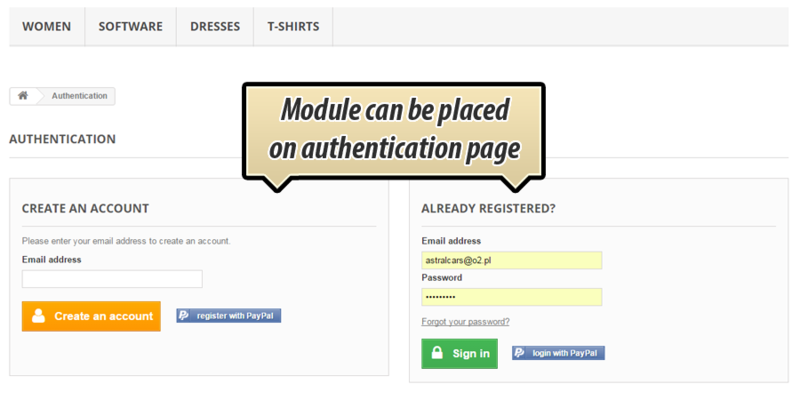 Anywhere You Want - with tiny shortcode you can display PayPal login button anywhere you want, for example with html box module (or with any other custom contents module). - added support of account activation by email module. - new version of module is available to download.